It's been long since I posted some journal entry here. I just thought that I would give you guys some updates on what I have been doing lately. I'm still working on the Callwork book 2 but I will not release it this Oct. Komikon. There are still unfinished story lines and topics that I wanted to discuss in my second book. On the other hand, we, SKP, will be releasing another book this October Komikon and an exhibit for the PICCA fest so please buy that! I'm also working on a painting for the exhibit of Manila Bulletin artists in cooperation with SM. Oh yeah I also joined a group called, "Komikero". 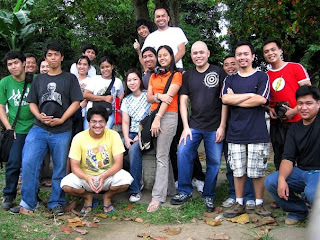 It's really nice meeting and hanging out with these cool guys in Sampaloc Lake in San pablo. I was also able to get some great bargains in NBS sale last weekend. Bought three graphic novels entitled, Houdini The handcuff King, Haunted mansion and Jokes and the Unconsious. 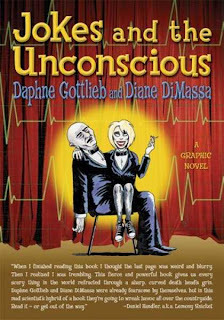 Jokes and the Unconsious is a really really good graphic novel. The flow of the story and the visuals positively swims.